There were a couple of hitches in this years event, but nothing that was bad enough to get our spirits down. Actually, one of the hitches turned out to be a good thing for us, because we met a bunch of super cool people! On the first day of the festival, traffic on the 15 heading into the raceway was backed up for miles. We came prepared though – with a van jammed to the max of ice cold, crystal clear water. If you ever forget just how wonderful water can taste, try sitting out in the Nevada desert in the middle of the day (in the middle of summer) for a few hours in 100 degree heat! The traffic was at a standstill and when the word got out about our hefty supply of complimentary H2o, we had a number of festival goers running up to the Six Sense Mobile asking for refills. 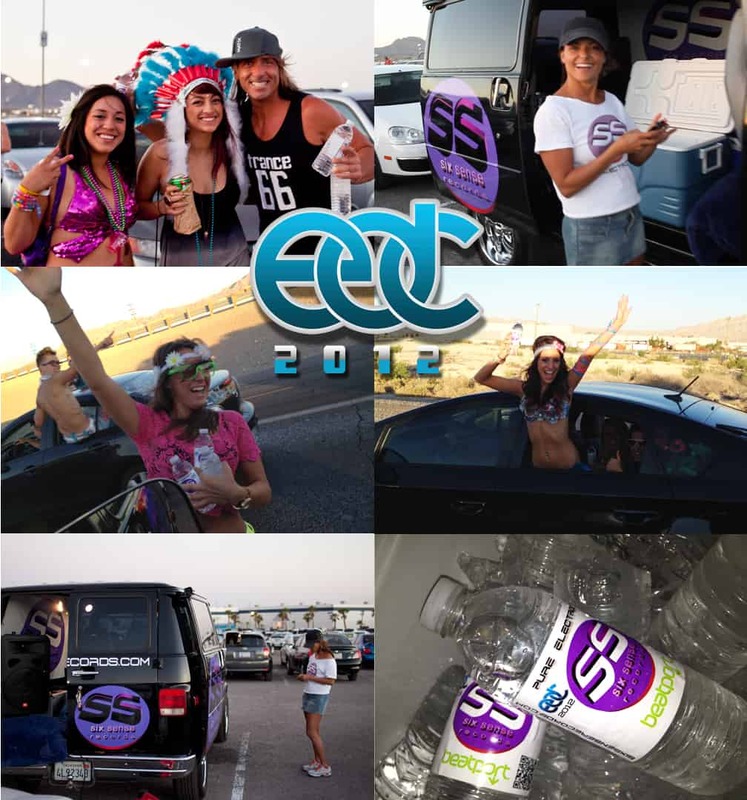 It was SUCH a cool experience we’re so happy to have been able to be there and help hydrate a few hundred parched ravers! Our hats off to Lucy Keile for creating, organizing and following through on the entire water promotion single-handedly . . . AWESOME!